Description: The ArduIMU+ V3 is the latest and greatest version of DIYDrones' smart IMU. This time they've made it smaller and faster by incorporating the new Invensense MPU-6000 3-axis gyro and accelerometer as well the 3-axis I2C magnetometer HMC-5883L. 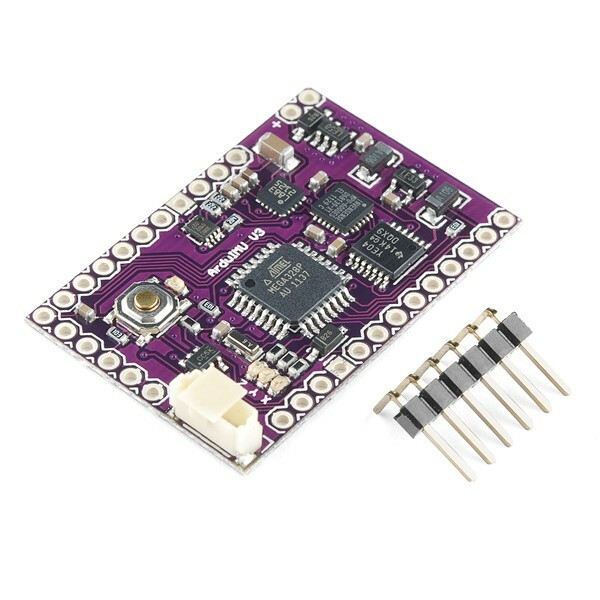 With the GPS port and on-board Atmega328 microprocessor, the ArduIMU+ V3 is a tiny but powerful orientationsolution. This version of the board is pin compatible with V2, but unlike V2 it's also breadboard friendly! This device is suitable for any application from rockets to simple movement detection. The 6 analog pins are nowavailable!